Y Achiever is designed to motivate youth to set and pursue high educational and career goals and develop their leadership potential. 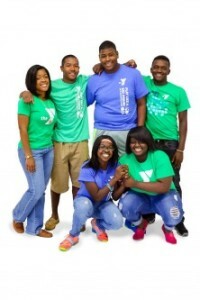 The Y Achievers program was founded in 1971 by members of the New York Harlem YMCA. Since the program’s successful inauguration, it has been established in 135 sites throughout the U.S.
Y Achiever is open to teens in grades 8 through 12. It is a multi-racial effort to help teens develop to their fullest potential. 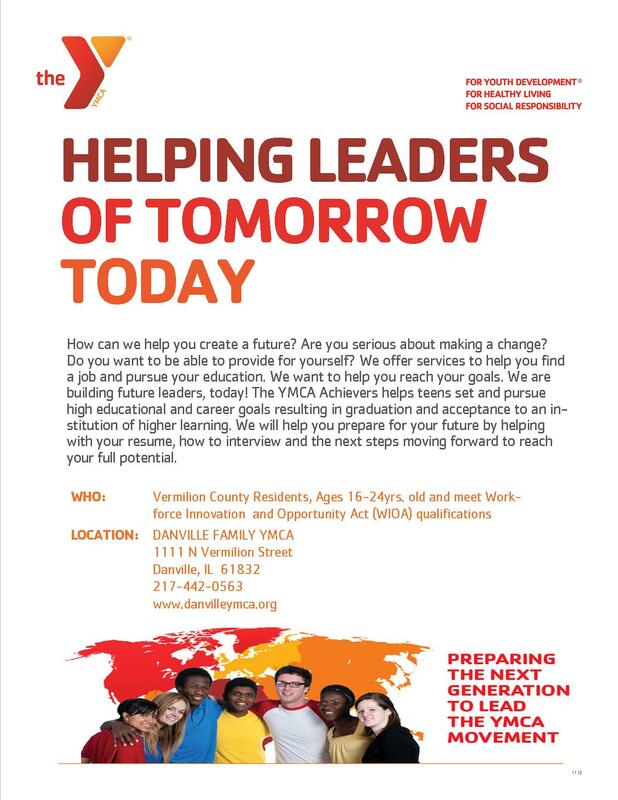 Registration includes youth membership at the Danville Family YMCA. There are no scholastic requirements to enroll. The only requirement is the desire to succeed. Provide role models whose success and knowledge will inspire youth to set and research their goals. Art-This Cluster gives students the opportunity to let their imaginations run wild. The nest Spike Lee, or May Angelou will learn art management, dance, music, production, technical support and visual arts. Business– Young entrepreneurs learn the art of selling and distributing goods and services to customers. Communications– You want to be an on-air personality? News reporter? Write or editor of a magazine? Explore careers related to the design, operation, maintenance and repair of communication technology. Computer-Experience careers responsible for generating, collecting, recording and analyzing information. If it doesn’t sound that exiting, Bill Gates, founder of Microsoft and one of the richest guys on the planet! Education– Here is your opportunity to change the lives of others. Learn teaching and administration skills and get on the path to stimulating minds! Engineering-Engineers are responsible for building bridges and other amazing things we couldn’t live without. Get a better understanding of advanced technology. Examine the process of providing raw materials, designing energy equipment and producing products. Health & Medical-Is there a doctor in the house? It could be your in the future. Explore careers relating health and business aspects of all medical services. This cluster is the perfect remedy for anyone interested in the medical field. Hospitality-If you like to bake, cook, stay in nice hotels and travel, this is the perfect cluster for you! Pastry arts, culinary arts, hotel/restaurant., management and more. Second and Fourth Saturday of each month 10:00 a.m. – 12:00 p.m.